The imcumbent office holder is Commander Shroombuck, who was appointed as the 4th Judge Advocate General of Federation Command on the 27th of March 2014 and the 1st Attorney General for Federation Command on the 9th of December 2014. The Office of the Judge Advocate General (hereinafter referred to as 'Judge Advocate General') is formed by Article VII of the Constitution of FEDERATION COMMAND as the judicial power of FEDERATION COMMAND with the additional purpose of advising the Executive Committee (or Fleet Admiral) and/or the Council of Admirals as Attorney General on any legal issues anent the constitutionality of procedures, policy, charters and the administrative regulations for consistency with either promulgated policy, charters or the Constitution of FEDERATION COMMAND itself as outlined in Article V of this Document. This Charter is designed to outline the role and structure of Judge Advocate General policies and procedures as lawfully promulgated hereunder. The powers of the Judge Advocate General extend to all cases, in law and equity, arising under the Constitution of FEDERATION COMMAND, the legislation made, or which shall be made, under the authority of the Executive Committee (or Fleet Admiral) and/or Council of Admirals. The Judge Advocate General shall have original and appellate jurisdiction, both as to law and fact, with such exceptions, and under such regulations as the Executive Committee (or Fleet Admiral) and/or Council of Admirals by a majority vote shall make. The Judge Advocate General shall be accountable only to the Executive Committee (or Fleet Admiral) and may serve as Attorney General as per Article V of this Document. An Officer of FEDERATION COMMAND accused of a Category I, Category II, or Category III offence may either undergo the punishment adjudged or appeal the punishment with the Judge Advocate General. The punishment can be appealed by promptly forwarding the appeal to the Judge Advocate General. All appeals - when and if submitted through the proper channels - fall under the jurisdiction of the Judge Advocate General. An Officer whom submitted an appeal shall be referred to as Appellant. The authority that issued the original punishment may be unwilling to uphold that particular punishment, at which point charges are dropped. An Officer of FEDERATION COMMAND accused of a Category I, Category II, or Category III offence, shall have the right to be defended by (an) Officer(s) high(er) in rank, which shall be interpreted as Lieutenant Commander or above. Such (an) Officer(s) shall be referred to as Defence Attorney(s) and can be appoint and dismissed by the Appellant respectively. Once an appeal has been submitted to the Judge Advocate General, the Director of Security (hereinafter: Federation Prosecutor) shall be granted seven (7) days to gather evidence against the Appellant and forward it to the Defence Attorney(s) and the presiding Judge Advocate General. Once evidence has been forwarded and received, the Defence Attorney(s) shall be granted seven (7) days to form a case against the evidence issued by the Federation Prosecutor. The Judge Advocate General may extend or reduce the time limits, subject to certain restrictions. All witnesses shall have to be approved by the Judge Advocate General and a single witness is not enough to corroborate a case. At the end of the time allotted all evidence shall be declared static and such evidence shall not be subject to change and/or additions and/or subtractions. The Judge Advocate General shall then set a date on which the case will appear in the Federation Court. 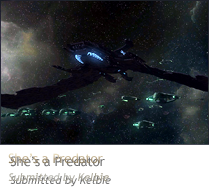 Judgment shall be pronounced and published on the forums by the Judge Advocate General and be submitted to the Executive Committee (or Fleet Admiral). In accordance with Article VII and XI of the Constitution of FEDERATION COMMAND, the Judge Advocate General is allowed to interpret the Constitution or any legislation made thereunder. Interpretations by the Judge Advocate General can be presented as evidence during a Federation Court-investigation or can be used to appeal Judge Advocate General judgments. Interpretations of the Judge Advocate General are protected under Article VII and XI of the Constitution of FEDERATION COMMAND and Articles I and II of this Documentt. The Judge Advocate General may additionally serve as Attorney General in an advisory capacity on any legal and constitutional issues which arise prior to or at deliberations of the Executive Committee (or Fleet Admiral) and/or Council of Admirals, including whether proposed legislation complies with the provisions of the Constitution of FEDERATION COMMAND, promulgated policy, charters or other administrative regulations. As Attorney General the Judge Advocate General is an ex officio member of the Council of Admirals, limited to an non-voting-advisory capacity and may only be appointed to that position by the Executive Committee (or Fleet Admiral). Ratified by the Council of Admirals on July 29th 2011.